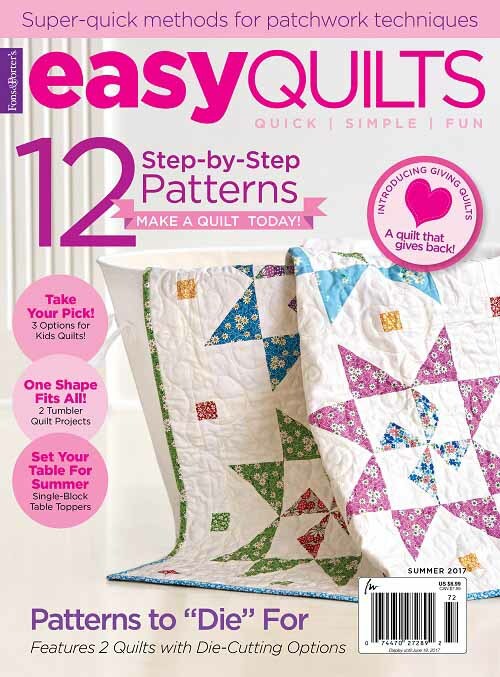 Owl Be Your Friend in McCALL’S QUICK QUILTS (August/September 2014) & Giveaway! Hello Friends – Happy Monday, and Happy Week! I hope you are well. 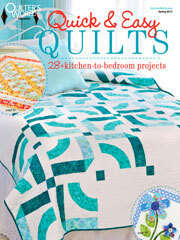 I am very happy to share with you my first ever feature in McCall’s Quick Quilts!!! First features in any publications for me are always extra special! 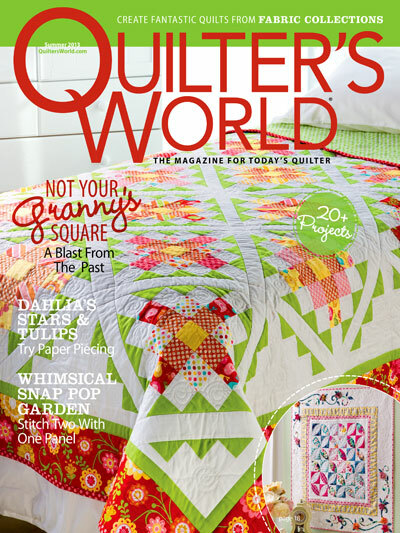 Come meet Owl Be Your Friend, featured in McCall’s Quick Quilts’ August/September 2014 issue. Click here to purchase your magazine copy. Click here to read McCall’s synopsis on the quilt. 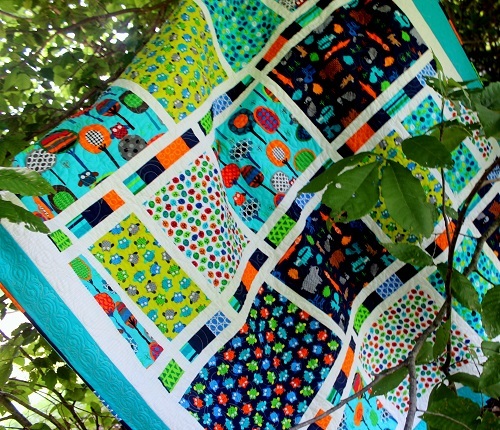 Here is a photo of the quilt I took nestled in the shade of a tree. After all, one would expect to see forest friends peeking out from among foliage, yes? Owl Be Your Friend is a quick and easy quilt to construct — the rows are constructed using rectangles of different sizes, and oriented differently for an interesting visual effect. My Owl Be Your Friend was pieced by Sherry McConnell of Indiana. A new design element I tried out in Owl Be Your Friend is the use of solids for quilt borders. The aqua solid I used ended up tying up nicely all the busy prints in the quilt center. You might try that little trick the next time you are stumped on border fabrics if you already have busy prints in your quilt. I absolutely love the prints used in Owl Be Your Friend. They are from Benartex’s Forest Friend-zy collection. 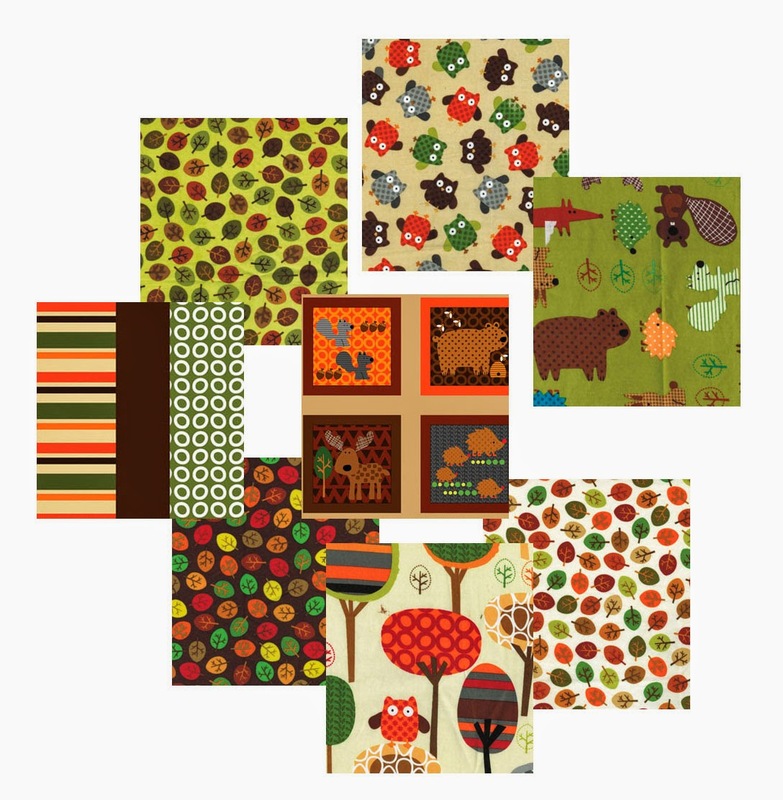 If you like forest friends, you will have SO MUCH fun with these fabrics! I quilted swirls on this quilt – swirls in the quilt center, swirls in the sashing, and modified swirls in the outer border. And what made my swirls come to life are Aurifil Mako 50 cotton threads over Hobbs Tuscany Bleached Cotton batting. I normally quilt with silk. But if I were to choose a cotton batting, Hobbs Tuscany Bleach Cotton is my choice. 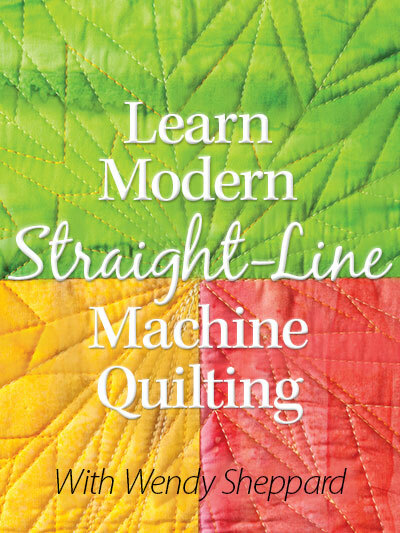 It is very light and airy, and thus perfect for quilting with a domestic machine. Owl Be Your Friend is a versatile design — you can easily use your fabrics of choice. 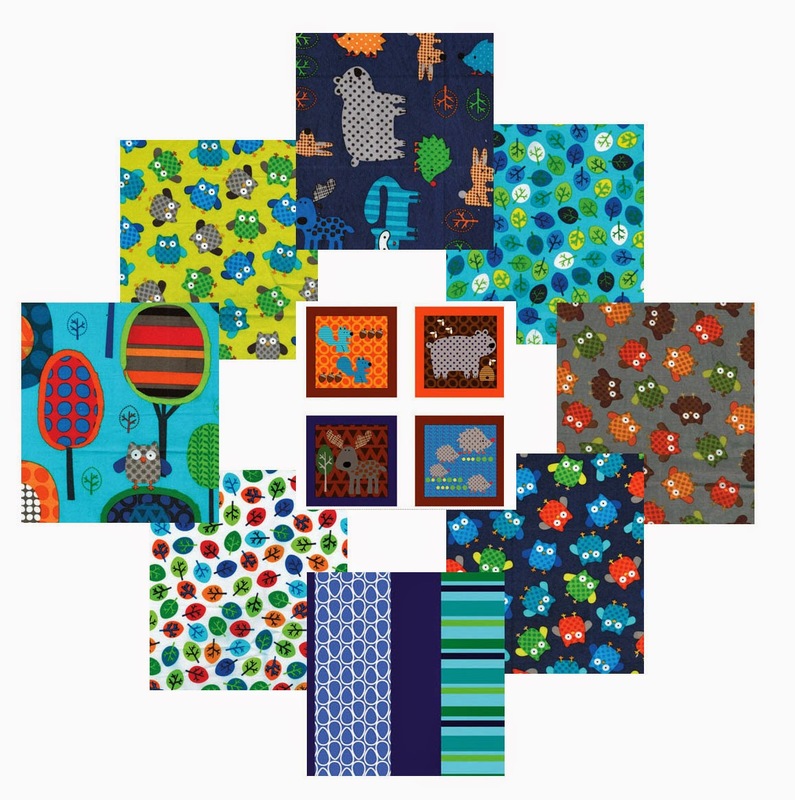 However, if you are in love with the Forest Friend-zy fabrics like I am — exclusive quilt kits are available for purchase here. And speaking of Friend, I do want to thank you for being my friends! You have made my quilt designing journey VERY fun! Thanks for stopping by! Love and hugs to you all, Dear Friends! Now for the giveaway — between now and next Monday, please leave a comment about what kind of quick projects you like to make (kids quilts, runners, pillows, mug rugs etc) to be entered in the giveaway. 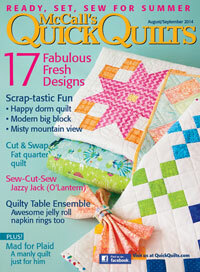 I will pick TWO winners to receive a copy of the latest McCall’s Quick Quilts magazine. This entry was posted in Quilt kit, Quilt Pattern, Quilting, Quilts & Projects: Published, Quilts: Pieced and tagged Benartex Forest Friend-zy Fabric Collection, McCall's Quick Quilts August/September 2014, Owl Quilts, Wendy Sheppard Designs. Bookmark the permalink. Until I purchase a bigger sewing machine, I”m making kid’s quilts and table runners. Thanks for a great giveaway and congrats to you! Table runners because they are easy to practice with on my long arm. Love it! And this magazine is my favorite and only one I subscribed to. I like to make quilts that are easy and quick, mostly throw or twin size to give away. I practice new blocks by making them into cushion covers. If they are not big enough, all they need is a border and hey presto!! All my friends and family have patchwork cushion covers made in their favourite colours. I made two for my Mum last week and now she wants another two!!! I also like designing my own blocks and spend ages working out measurements! Wendy, I love this. Quick, easy and I even love the bright colors. With four grandchildren, my favorite quickies are kids quilts with an occasional companion doll quilt for the little ones. I love making table runners as quick gifts. Right now I am working on 4 sets of seasonal table runners to be given as bridal shower gifts to the young ladies in our family as they get married. I will have 12 runners in each set, one for each month. I had better get busy, because 2 of the girls just got engaged! 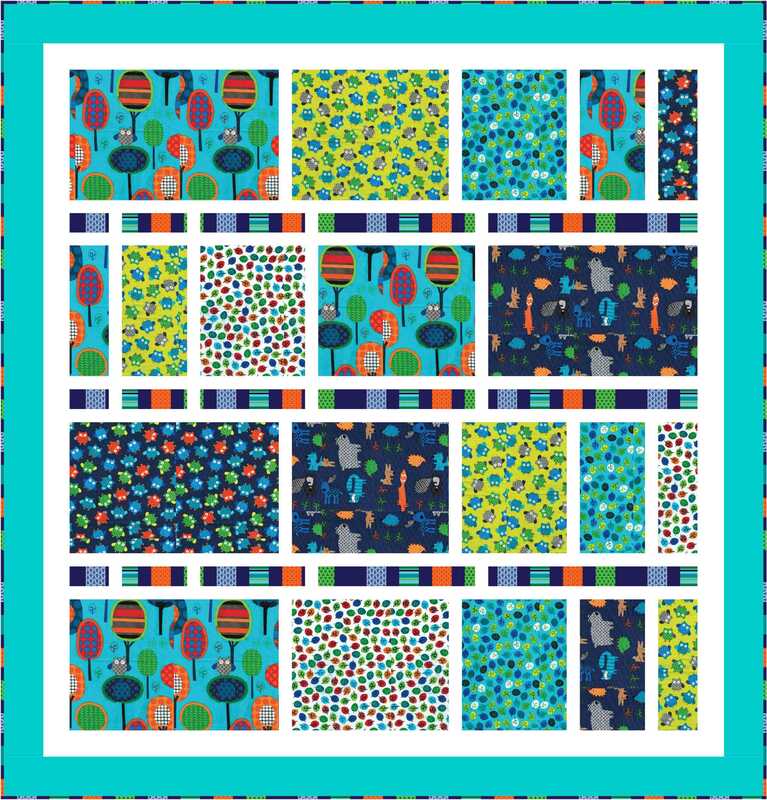 The solids are a wonderful idea with the busy prints. I love your swirls and the little hearts are so cute too. 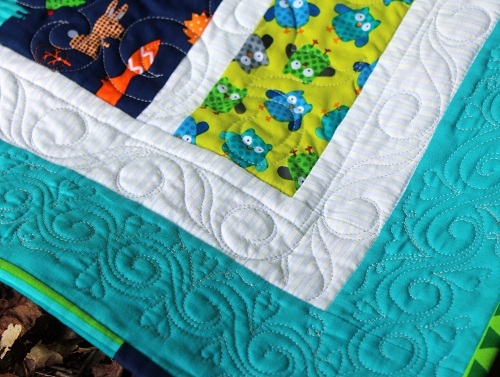 Such a cute quilt, made extra special by your lovely quilting! I like to try out new ideas by making children’s and babies’ quilts with my church quilt group for autistic children and a newborn intensive care unit in a local hospital. Faster than attempting larger bed quilts. Congratulations on another first-time event! I love making lunch rugs…I make them larger than a mug rug, but just a tad smaller than a placemat. We use these on the weekends and all summer long…No washing dishes a grandmas anymore, now if I can only sew a leak proof cup…..
HI, I make Charity Baby Quilts+am always looking for new ideas for these! I like easy throw size quilts, project Linus type quilts and table runners or wall hangings. I make a lot of kids quilts to give to an organization that works with children in crisis situations. I have given to many different organizations. I love making this size of quilts for a quick and easy project but my passion and love lies in queen and king size quilts to give to friends. I make runners and baby size quilts when I want something fast, but do enjoy larger quilts, too. 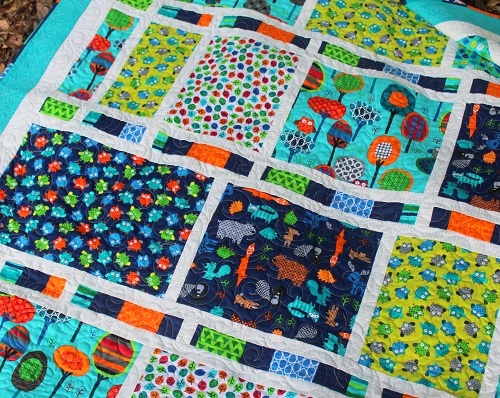 I adore the stitching design you used in this quilt! The border is outstanding. Great design for a solid fabric. I love it! I enjoy kid’s quilts and table toppers for my quick projects. Both are so useful. thanks for offering a giveaway of the magazine. Your quilt is a stunner. I love to make placemats! Love your swirls!!! I really like this pattern with the small little patches in between the larger one with sashing. Really cute pattern and I agree with you totally that the plain aqua looks so much better without adding any more patterns. Makes your view pull right to the patterns in the quilt. Hi Wendy. . .congratulations for your “first” project in McCall’s Quick Quilts. 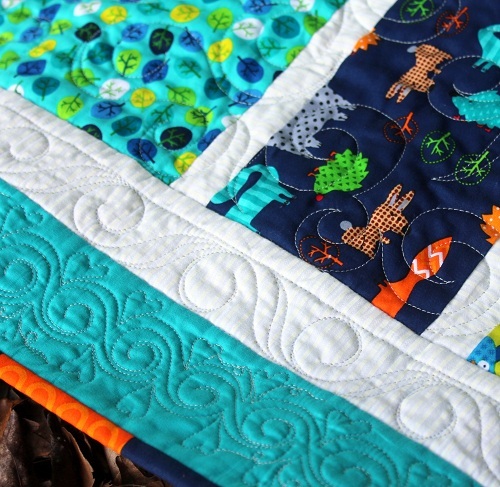 I think I need to borrow your swirl border quilting design – love it. And thanks for the opportunity to win a copy of the magazine. My favorite small projects are pillowcases and table runner/placemats (great for free motion practice!). I have made mug rugs and hotpads so far, but I’m ready to start a quilt! Love your magazine! Hope I win! Congratulations on another “first! !” Very cute, quick quilt. I think that my favorite quick projects consist of small wallhangings or table runners. I would like Quilt As You Go projects, prefer blocks joined with sashing, maybe even a T-shirt quilt as you go block quilt. I like to make wall quilts and flannel rag lap sized quilts. Thanks! I love making baby and toddler size quilts! I love to see how the fabric will “speak to me” about what to put together and what pattern to use. And each quilt is personalized with the recipient’s name. All children love things with their names on them. Next quilt project is a set of 3 “memory” quilts for friends who just lost their husband/father – made with his shirts. He only wore denim shirts…I can’t wait to get started! I like to make baby quilts, bright beautiful colors and fun designs all quick. Thanks. Bed size quilts and table runners are my favorite sizes (but lap size is a close third. I love making runners (for the table or the bed!!). 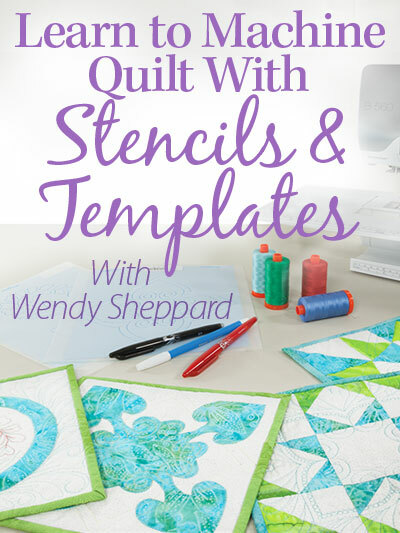 I can complete them fairly quickly & get to practice my quilting! I make placemats or if my DNA is nice make a tote bag. I typically work on throw size quilts, because of their quilting managablity on a domestic machine. Do you have a blog somewhere showing us the process to create your sashing swirl? I do throw size quilts and for a really, really quick project I do pillowcases for kids in the hospital. Honestly, my favorite type of quilt to make is always the next quilt that I am planning. Congratulations on your publication; your quilt is just darling. Dear Wendy. Bed size quilts are not really useful for my family and I as we live on a tropical island called Singapore. LIke Malaysia, weather here throughout the year is hot. Most of the time I make wall hangings and mug rugs. Recently I did a sewing machine cover. I FMQ on a whole piece of cloth (sandwiched with batting), cut it up and sewed it into a sewing machine cover. I had some leftovers and very quickly I sewed up a couple of mug rugs. I added more FMQ on the mug rugs to make it more artistic and was really pleased with the results. So for quick projects, I would definitely choose mug rugs. Thanks for the giveaway. I really enjoy reading your blog. Can’t wait to get hold of your to-be-released book. Hi, I would like to make dog mats for my two labrador retrievers. Table runners….make great gifts and are fast. I like to make table runners and bags for quick projects. I’m really into quick these days! I like to make table runners as a quick project. There is always someone who needs one! I think I’d have to say table runners….so many fun and easy patterns out there to choose from! Congrats on your Quick Quilts debut!! I made a place mat for my granddaughter’s 10th birthday on Monday. It was really quick and she loved. 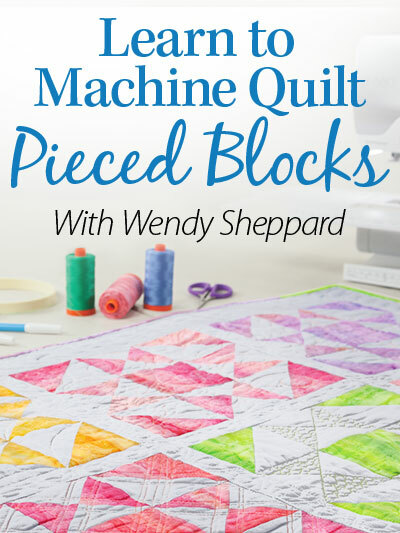 The quilt is adorable and I can see myself using this pattern to make quick quilts for kidlets. I like purses, bags and runners. Wendy, love your work and appreciate you sharing and caring! Quilts and pillowcases. Thank you! I make quilts, table runners and ornaments.